Usually its the riders climbing Alp' Huez, or Cavendish fighting all the other sprinters on Champs Elysees that takes the spectators focus. 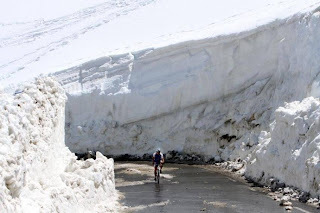 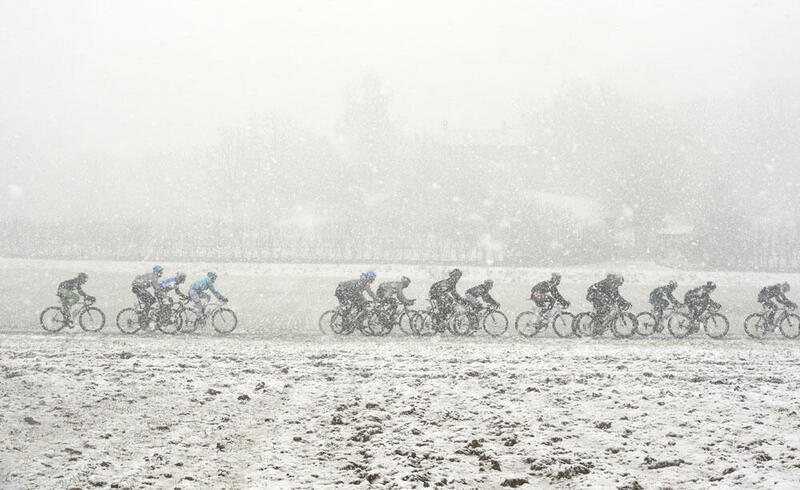 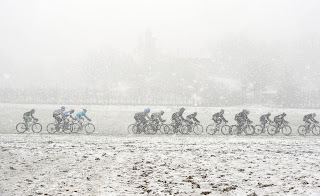 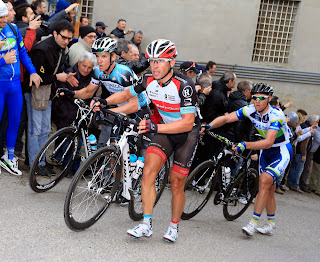 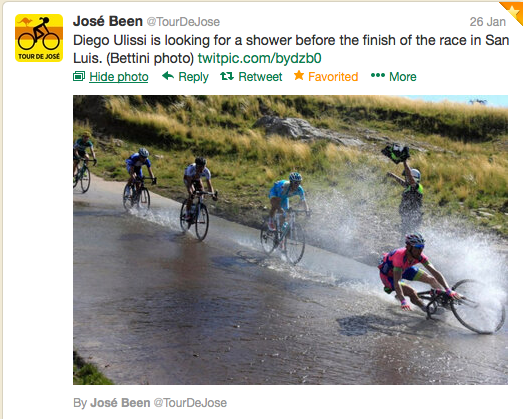 Other times it ends up being something very different, from the specators, or from the helicopters showing you the race, like in the 2013 Vuelta A Burgos, where the TV-helicopter got a bit too close to the riders, and send them in a ditch. 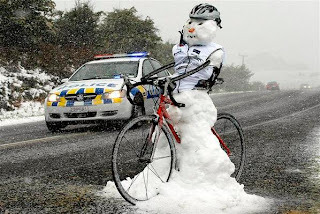 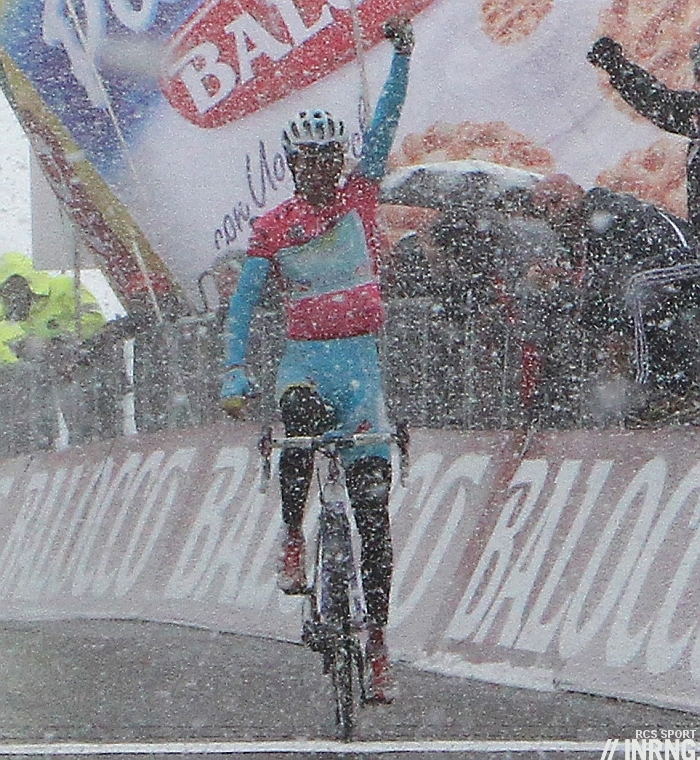 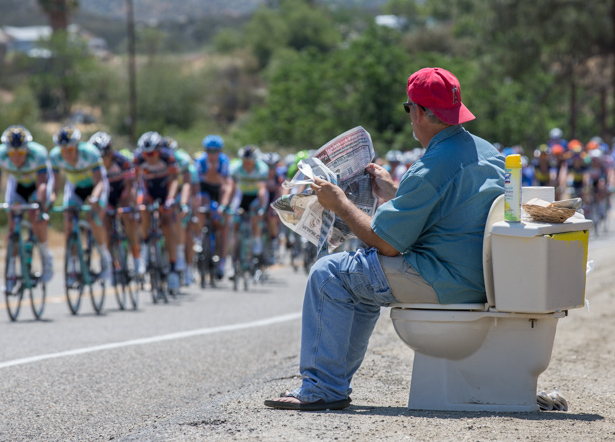 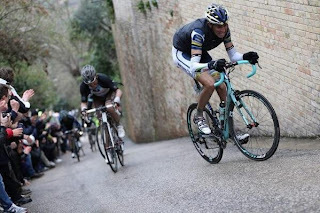 From the Tour Of California 2013, we have this guy. I guess if you have to go, you have to go. Maybe even Frosty the snowman will have a chance at a win there? 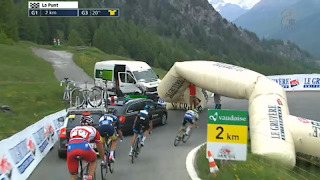 Also, massive airbanners are not always working as intended. 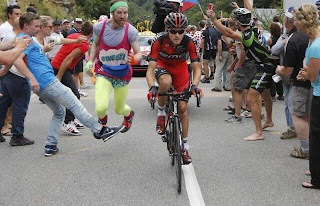 7th stage of Tour De Suisse 2013 this happened, and this man had to stand like this for quite some time. 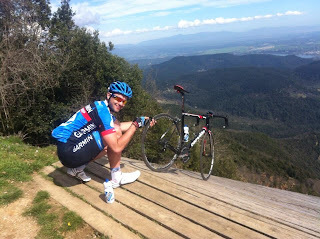 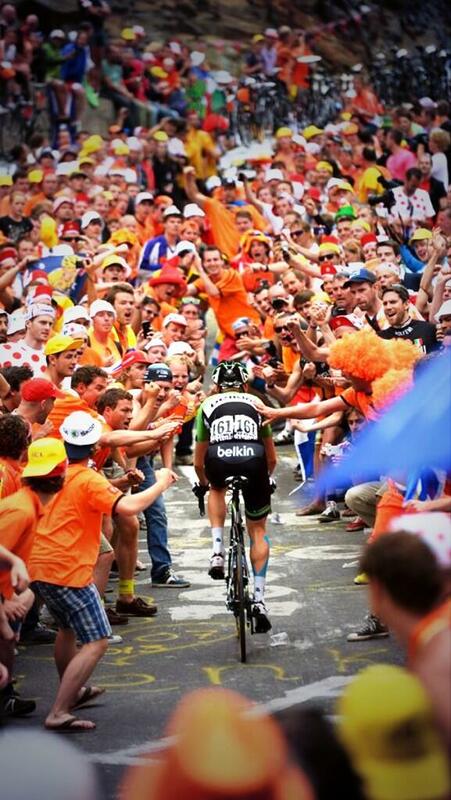 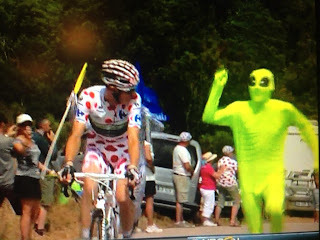 Also, not only Mount Roswell gets visited by Aliens, Pierre Rolland in the Polkajersey in the 2013 Tour De France seems to have a fan amongst the marsmen. 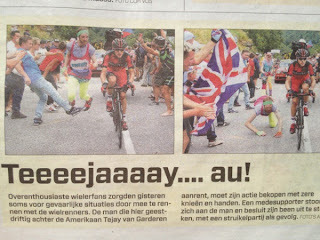 And some other fans gets to face the tarmac a bit more than they wanted to. 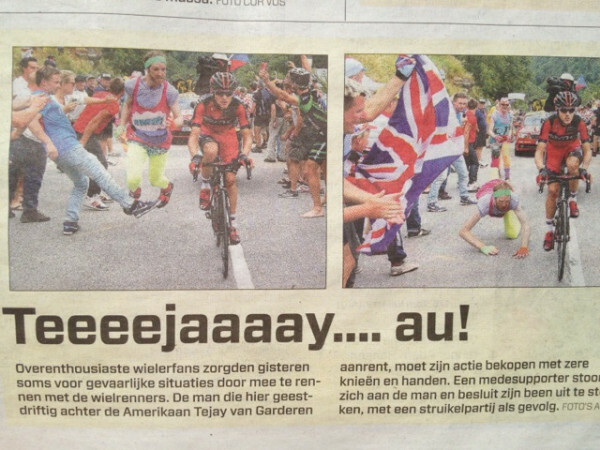 That happened to this guy, chasing TeeJay Van Garderen during the 2013 Tour De France. 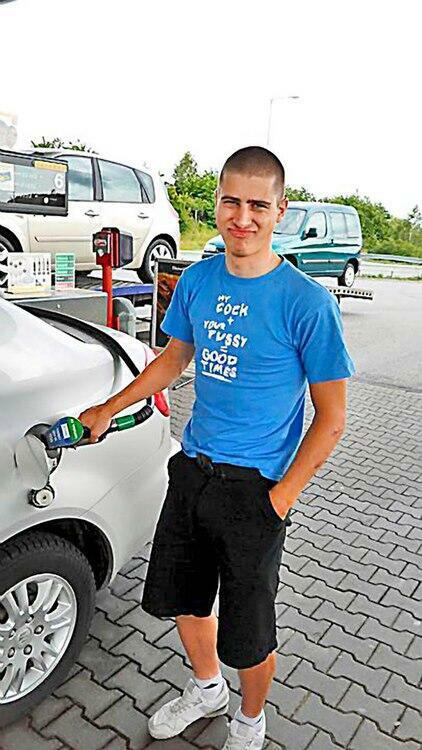 Peter Sagan is a man who does a lot of tricks. 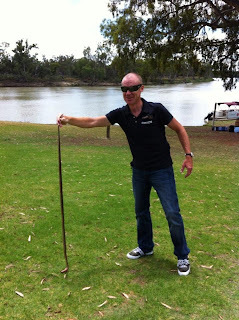 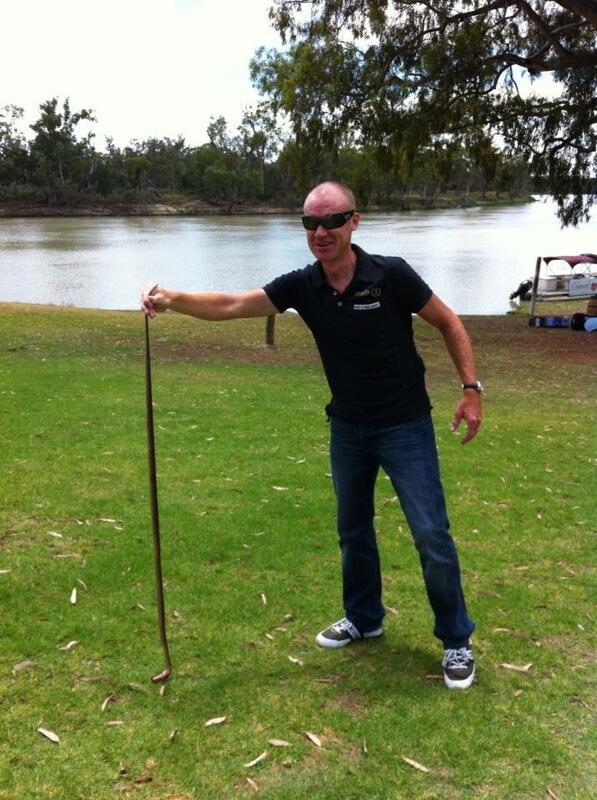 And Down Under, O'Grady battles big fearsome snakes! 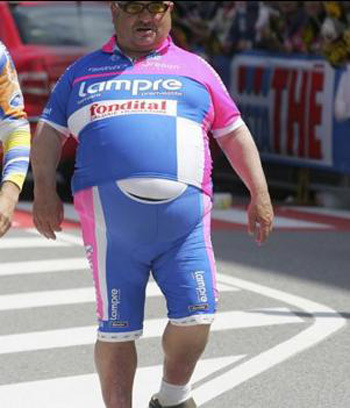 Or on foot, if you ate too much Pizza last night. 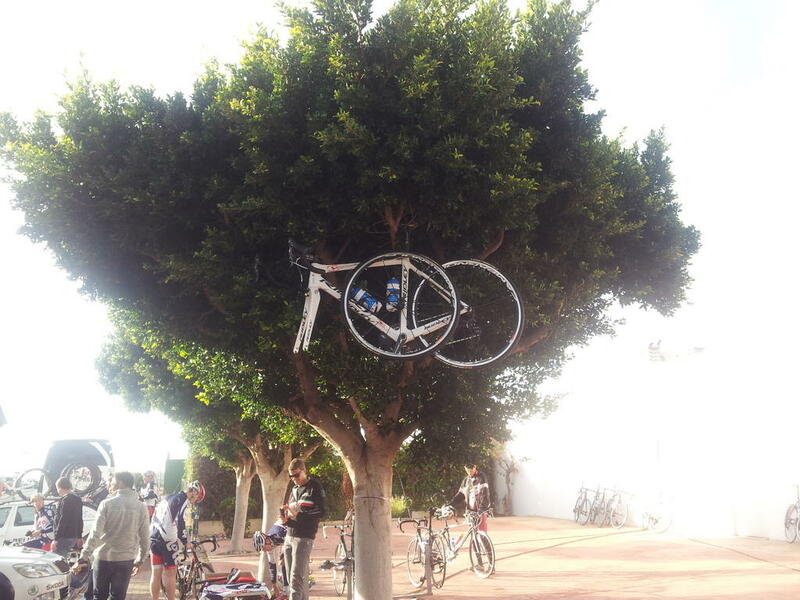 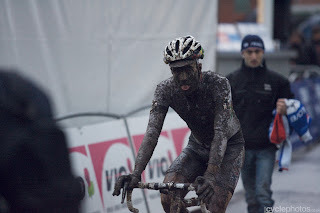 And this is how Alex Rasmussen says goodbye to his bike, when he is getting a new one. 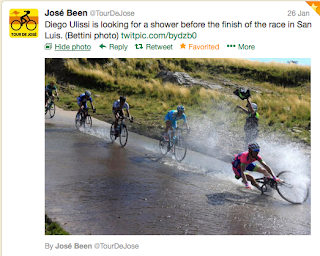 Meanwhile in San Luis they need watercycles.